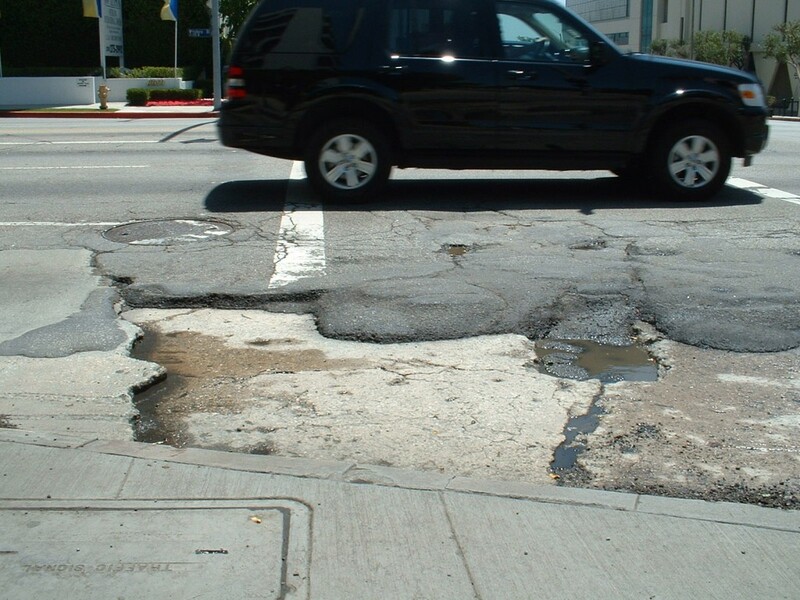 Both home to the famed Cal Poly Pomona University, a source of huge influence both agriculturally and infrastructure, and a lower-income or semi-industrial area means that the roads often get overlooked… and don’t get repaired. It’s no surprise the somewhat infamous city has less-than-perfect roads. It might surprise you to know that what many egalitarian types might consider one of the sketchiest areas in Los Angeles is also immediately adjacent to USC, so whether you’ve only go enough money for an 81 Chevrolet or the latest from BMW, everyone driving around there is getting their suspension beat up like it owes someone money. Being one of the older cities in the area, it’s not a surprise that the infrastructure of the water and other utility systems of an older city are in need of update, but the cute little city of Fullerton with its vibrant downtown area suffers from crumbling roads on roads away from the spotlight of the main drags of Harbor Blvd and Commonwealth. Recent construction has made the roads especially nasty with lots of uneven patchwork and loose gravel to contend with have made it a nightmare to get around with a modded car. Within sight of the famous Long Beach Grand Prix street circuit, the port city of Long Beach maintains the road surface of Alamitos Bay ave and its “the Pike” downtown area, keeping the road surface patched and smooth so that the race cars that hit the streets once a year can do so safely, but just across Ocean Blvd the streets of the urban core are so harsh you’ll think you’re driving over cobblestones. The infographic above features photos of a street repair right on the streets of Long Beach. The City of Angels is among one of the worst places for modified cars. The problems of the other cities on this list are compounded by the needs of managing an area as massive as the City of Los Angeles really is with its vast network of streets and alleyways. Unfortunately the roads see a lot of use, don’t have the chance to be shut down for repairs anywhere near often enough, and more often than not, what should be a full repave is fixed with a filler – a strategy known as a “patch and pray”, sometime we’re forced to rely on as there’s not time or budget available for a proper repair. This means that the aging asphalt, though not subject to the rigors of an east coast winter, still ages quite a bit under use – resulting in potholes that can bend and crack wheels and damage shock absorbers. And that’s our recap of what are, in our opinion, some of the worst cities in SoCal to drive a modified car. Bend a wheel and need a new set? Pothole damage your shocks? Talk to the Mod Experts for advice on how you can get your modified vehicle back to normal. Call 714-582-3330 or visit ModBargains.com today.